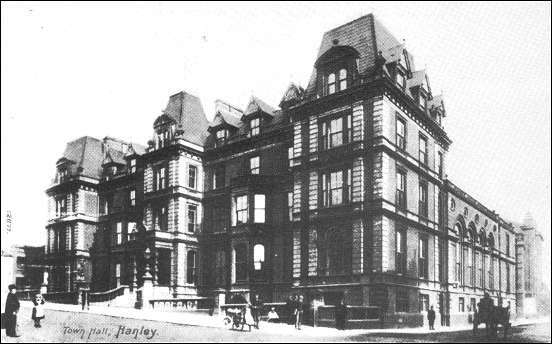 "Hanley is the most townish of the six towns. It has much new building, much new shopping, and quite a number of busy streets. But it has no civic centre. 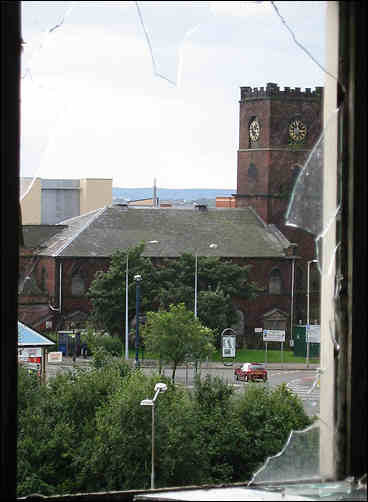 The parish church is at the time of writing in a desert, and the town hall is in a place where one would not expect it." St. John, Town Road. 1788-90, the polygonal apse of 1872 (by W. Palmer). 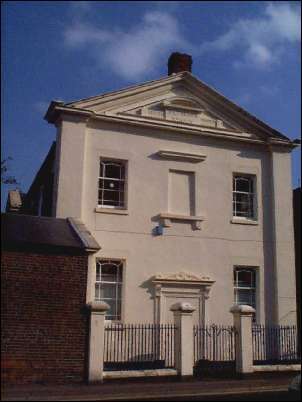 The predecessor building of 1738 was built partly at the expense of John Borne. The site had been given by John Adams. 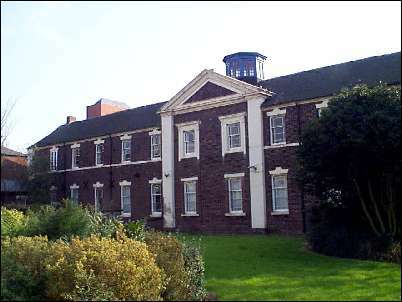 Brick, with a W tower and a six-bay nave with arched window. In the four end bays, W and E, pedimented doorways with Tuncan columns. - PLATE. Chalice, 1750 by Peter Archambo & Peter Meure; Flagon, 1788 by Thomas Wynne; Paten 1788 by Robert Jones. 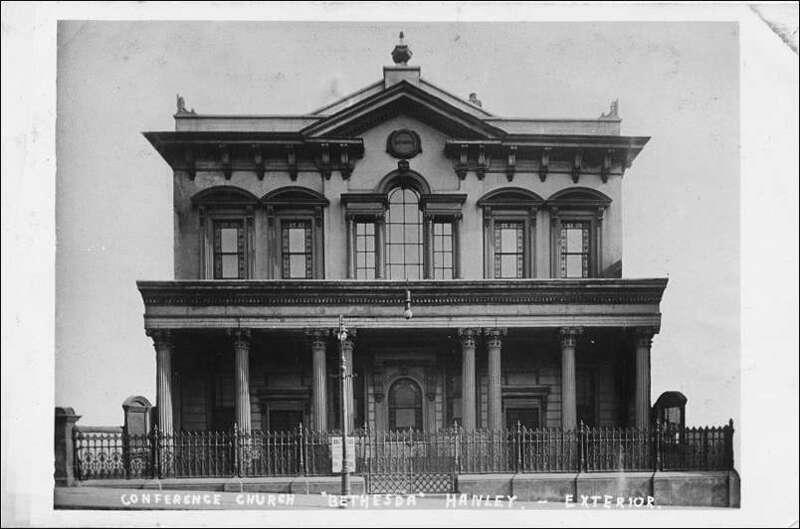 Bethesda Chapel, Albion Street. 1819, but the facade of 1859. Of five bays; rendered. Ornate Italianate. Porch of eight columns, large Venetian window. Round the corner in Bethesda street the school to the chapel. Also rendered but classical in style. It carries the dates 1819 and 1836.
built 1819 and upper story added 1835. Town Hall, Albion Street. By Robert Scrivener, 1869. Built as the Queen's Hotel. Brick and stone, symmetrical, with French pavilion roofs. In front of the Town Hall the War Memorial, 1921-2 by Harold Brownsword. War Memorial originally built to commemorate the dead of World War I. 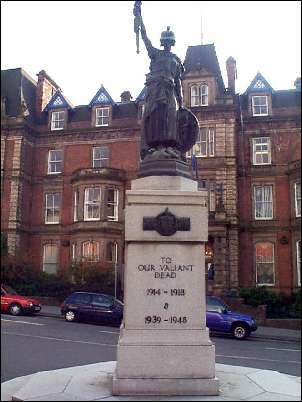 The sculptor was Harold Brownsword and the memorial stands outside the Town Hall in Albion Street, Hanley. Just below the Town Hall, in John Street, is a terrace of houses dated 1807, the oldest surviving buildings in the centre, says the VCH, though DrGomme refers to an C18 five bay house with pedimented doorway in Cannon Street. 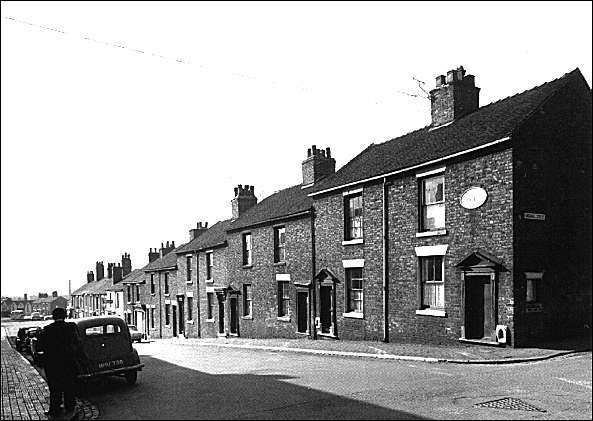 Picture taken from halfway down John Street, Bagnall Street on the extreme right. The picture looks toward Bethesda Street where the public library now stands. Photo: "Potworks, the industrial architecture of the Staffordshire potteries"
- Pevsner writes "At the time of going to press the terrace is being destroyed."